Meredith is a Certified Broadcast Meteorologist as designated by the American Meteorological Society. She was born and raised in Cleveland but has worked from coast to coast covering almost every type of weather. She’s been live out in the field during destructive tropical storms on the Gulf Coast of Florida, raging wildfires in Southern California, and covered the wreckage from tornadoes in the Great Plains. In 2009, she reported on the damaging hail storm during the Sturgis Motorcycle Rally and in 2017, the historic California winter storms that produced record rain totals and devastating flash flooding. 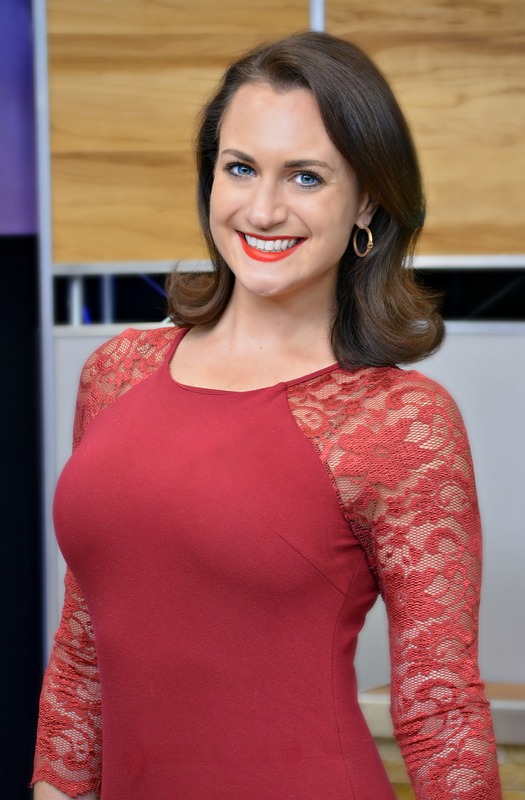 Prior to joining WeatherNation, Meredith worked at KEYT/KKFX in Santa Barbara, CA, KOTA-TV in Rapid City, SD, WWSB-TV in Sarasota, FL, and began her career as an intern at WGN-TV in Chicago. She was Santa Barbara’s “Favorite Weathercaster of the Year” in 2016 and the Community Partner of the Year in 2017 for her volunteer work with Make-A-Wish Tri-Counties and awarded with the 2018 Valparaiso University Alumni Association First Decade Achievement Award. Meredith sits on the American Meteorological Society Station Scientist Committee, which focuses on raising greater awareness & outreach when it comes to science education for viewers. She’s also an accomplished reporter, producing weather and science stories including rocket launches at Vandenberg Air Force Base and the new GOES-16 satellite and it’s impacts on weather forecasting. Meredith’s also worked on features that took her paragliding along the coast, white water rafting in Northern California, learning to surf in the Pacific Ocean, and how to be an aerial photographer while flying a single engine plane! I was just three years old when my Mom told me her story of surviving the F-5 tornado that wiped out Xenia, Ohio during the Super Outbreak of 1974. The tornado formed across the street from where she was and touched down in the backyard. My Mom worked with the Red Cross to help victims and it was at that moment I felt it was my calling to study severe weather and storms to help keep people informed and safe. I think I was the first to make a "Facebook Live" weather report using my Fischer Price tape recorder! I continued to study weather, how the local meteorologists covered it, and then got into the morning news in Middle School doing weather reports. I love what I do every single day and how I can make a difference in the lives of people, storm or sunshine! While working in Florida, I was able to cover Tropical Storm Debby in 2012 from the field. It spawned tornadoes, flooded our local beaches and streets, produced incredible wind damage, and tossed boats out of the harbor. I love being out in the elements reporting on the latest weather conditions and impacts but more importantly, keeping people informed, safe and prepared when Mother Nature is at her worst. Besides your parents, who has influenced you the most in your life? I have to give a huge credit to all of my teachers from grade school through college. Even when I was struggling, they continued to motivate me to work hard and accomplish whatever I wanted in life. They knew I always wanted to be a television meteorologist and because of them, I'm living the dream. My broadcast meteorologist mentors have also played a huge role in my success, especially fellow Valpo alumna Ginger Zee. Whether it is career advice or how to compete in a dance competition, she's been there for me every step of the way. I am an accomplished singer and actress! I have performed our National Anthem more than 100 times for professional and collegiate sports as well as non-profit and community events. In 2013, I played one of my favorite roles as Rizzo in "Grease" for a local theater production in Florida. I also love to dance and have competed in two local Dancing with the Stars competitions, taking first place in 2016 with a Foxtrot routine. We live in a digital world, with people constantly wanting information as fast as they can get it and that's most accessible. I really hope as meteorologists we can continue to prove ourselves as weather experts that offer more than just numbers and forecasts. Using social media as a tool and combining it with station resources and digital platforms, I hope we can be people's #1 go-to source for weather information, especially during severe and threatening weather events. An app can't walk you through a tornado warning, but we will and in the most detailed and easy-to-understand way so you're safe and prepared before, during, and after.